Technical support for the PRO Landscape Home app is free and provided via email. 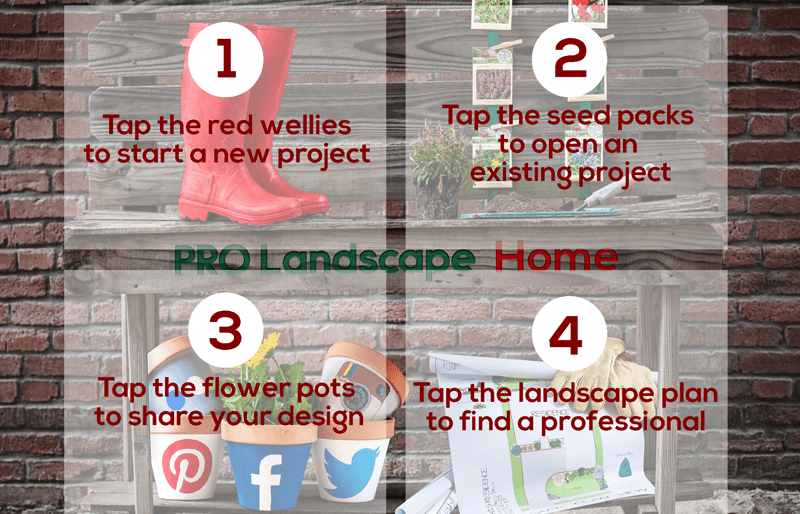 Please email home-support@prolandscape.com with any questions, comments or suggestions. Be sure to download the Help file from within the app. The help file has step-by-step instructions for common tasks. Will PRO Landscape Home work on all iPads? 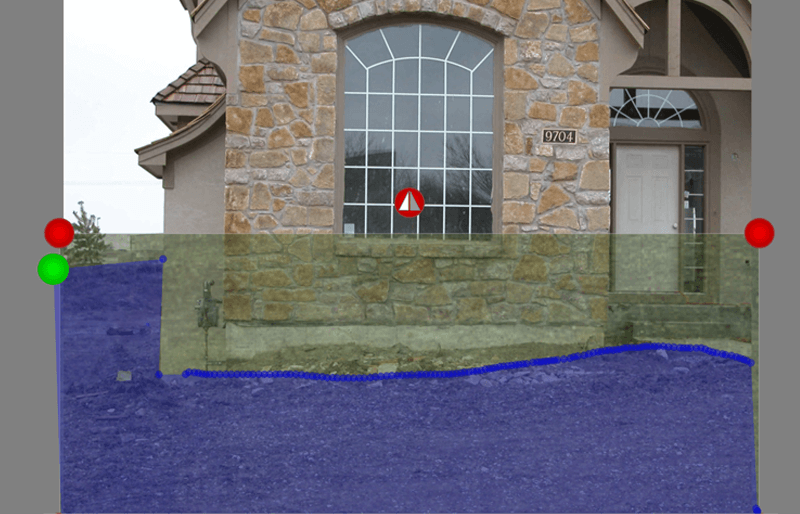 PRO Landscape Home will run on any iPad, iPad Pro or iPad mini running iOS 7.0 or greater. Will PRO Landscape Home work on my iPhone? Yes, PRO Landscape Home can be used on both iPhones and iPads. Will PRO Landscape Home run on my Android tablet? Yes, you can run the PRO Landscape Home app on your Android tablet or phone. Is PRO Landscape Home Free? Yes! PRO Landscape Home is free to use and try. You can create designs using a limited plant library. Then, for a small fee you can purchase access to a larger image library (2,000+ items). The Home screen is divided into 4 parts making it easy to navigate. You can create patterns out of grass, mulch, hardscapes or other objects from your image gallery. You can shape the object to fit the area. Drag the object onto the canvas. Size the object so it covers the desired area. Press the Pattern tool on the Object Toolbar. Tap the starting point. Tap additional points if you want a straight line. Press and drag to create curved areas. Tap the green dot to complete the pattern. Place the object you want to use for the pattern. Drag the object to fill the area. Click points or drag with your finger or stylus to define the pattern. Click the Green dot to finish. Before you finish the pattern you can use the Cancel Last Point button at the top to remove the last point(s). The shape you created will be moved behind other objects and locked. Use the Tools menu at the top to unlock an object so you can move it.